Former international Graham Shaw has been appointed as the new Black Sticks Women’s Head Coach, following the resignation of Mark Hager. The Black Sticks men and women have begun their Pro League campaigns with two narrow losses in two very different games against strong Netherlands teams. At the National Māori hockey tournament in Rotorua, Black Sticks coach Mark Hager will be in attendance for the finals. 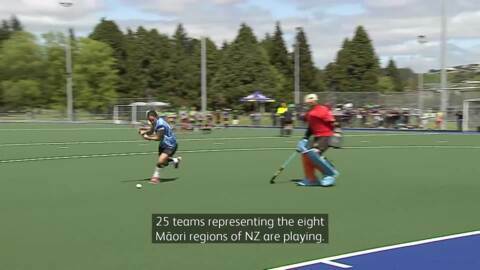 Māori Hockey, chairman Kahu Ripia says that this is the first time someone of this stature will attend the finals set to take place tomorrow. The Black Sticks have gone down to over-the-ditch rivals, Australia in the final of the Tri-Nations Women's International Hockey series. The home side's performance was a stark turnaround from last month's match-up at the Commonwealth games where they defeated Australia 4-1. 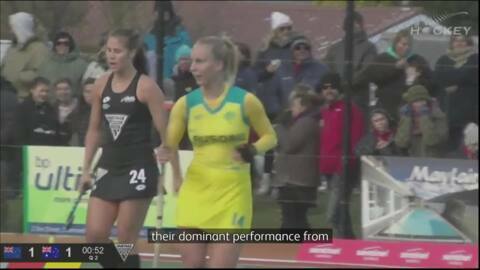 People were on the edge of their seats during last night's semi-final match between the Women's Blacksticks team and England. The Black Sticks have drawn their game against Australia at the Commonwealth Games and now advance to the semi-finals. The Black Sticks have lost their first match of the Four Nations competition against India, 3-2. Māori hockey player Gemma McCaw has released a statement saying she is retiring from the Black Sticks to pursue another pathway. NZ Women's Black Sticks Captain, Kayla Whitelock will be ending her 13-year career with the NZ hockey side on her return from Rio. The Rangitāne descendant has played 255 caps overall in the black singlet since first joining the side in 2003. The Black Sticks are looking good, ahead of their Rio Olympic campaign after a big win over the Argentinians.